CINCINNATI – Brian Cromer believes a higher power called him to plant a new church in the Queen City. "The best language I have for it was there was a silhouette on the horizon," Cromer said. "I knew it but I couldn't see the details of it. It's actually been about a four-year process from the start to today." 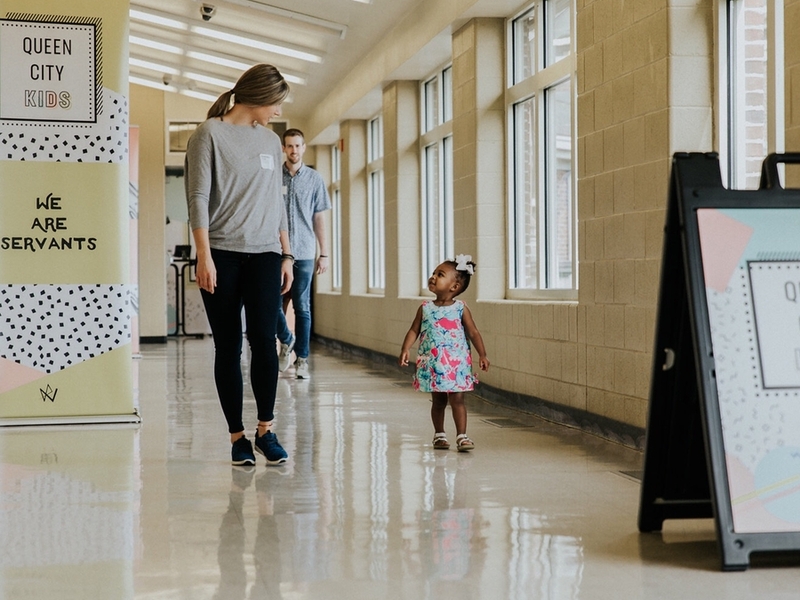 That journey ended, and another began, on Sept. 16 when Cromer delivered the first Sunday service of Queen City Church to more than 620 people inside Withrow University High School's auditorium. For the past 14 years, Cromer served in student ministries at various Texas and Oklahoma churches. He grew up in middle Tennessee and studied Bible/Youth & Family Ministry at Lipscomb University, a small Christian liberal arts college in Nashville. His wife grew up in Atlanta. 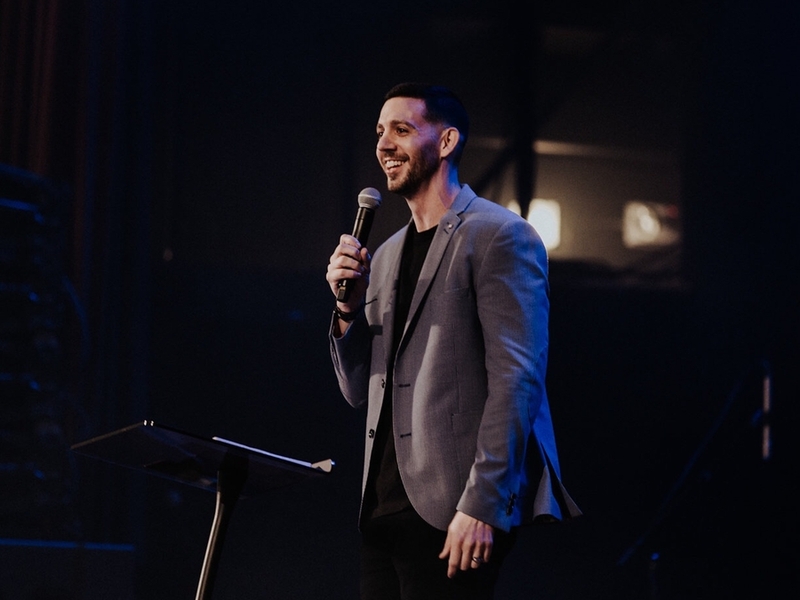 It was in 2013, when Cromer was serving as Pastor of Gateway Students at Gateway Church in Southlake, Texas, that he and his wife, Heather, began talking dreams of planting a new church, somewhere. "Whenever we knew this was the direction our life was taking we kind of took the approach of, 'We'll go anywhere and do anything,'" Cromer said. "We just wanted to make sure that we were following what God was asking our family to do." He described he and his wife's ultimate decision to build a new church as "terrifying." "It was a huge faith journey to us," Cromer said. Cromer turned to church leaders at Gateway, a megachurch with an estimated 36,000 attendance at weekly services, seeking guidance. Gateway helped the husband and wife team formulate criteria for where they would like to plant a church and the kind of church they hoped to grow. "We just really created some filters that were good for our family," Cromer said. Those filters included studying a city's culture, criminal and poverty statistics, level of church attendance and an environment where the family felt they could help the community. "We really felt like there were about three cities on our hearts and Cincinnati was one of those," Cromer said. Cromer said he then contacted a former college roommate who lives in Fort Thomas before visiting Cincinnati as often as possible with Heather and their sons Jacob and Caleb starting three years ago. "We studied it as much as we could," Cromer said. "We took a lot of time to study because at the end of the day this isn't where we grew up. Through that process, we found [Cincinnati] is a beautiful city – not just aesthetically, but culturally. We just fell in love with it." He said he also found the "broken parts of the city." Cromer cited statistics on poverty such as those recently published in the U.S. Census Bureau's American Community Survey , which revealed half of all children under 5 in Cincinnati live in poverty. "Children every single day not knowing if they are going to get enough to eat," Cromer said. "The more that we just studied those things, we just knew we were called not only to the beauty of the city but the culture of the city. To me, when a church understands its role, not just spiritually but socially, it can change a lot of those things. We were looking for a city with needs that matched with what we were called to be." The Cromers left their life in Texas last year after feeling fairly certain Cincinnati was where they were called to be. They needed to make one more stop on their journey though before planting their church. With the help of Gateway, Cromer was accepted into a nearly year-long program at the Association of Related Churches (ARC) in Birmingham, Alabama to learn how to successfully plant his church. "At the end of the day, I've never done this. I don't know what I don't know. I needed help from people who've done that," Cromer said. Six pastors formed ARC in 2000 with the goal of helping those like Cromer plant churches, according to the organization's website. ARC's program includes intensive one-on-one training with pastors who successfully planted their own churches and strategies for establishing a foundation in a community before a new church's first service. "It really is a model and system for how they pick churches," Cromer said. "I do believe it is a modern, new approach." ARC then offers up to $50,000 in matching dollar-for-dollar grants to financially support pastors planting their churches. Cromer said ARC has planted about 770 new churches with a 93 percent success rate after five years. TurningPoint Church in Lexington, Kentucky and Life House in Dayton, Ohio are two other churches ARC helped plant within 75 miles of Cincinnati. Though not an ARC plant, Crossroads in Oakley is part of its network of "family member" churches. 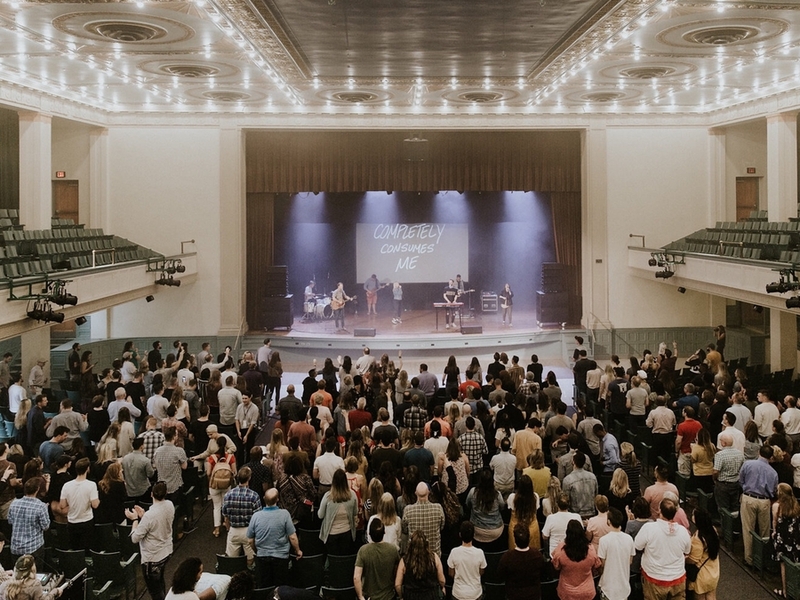 After its first service, ARC and Gateway are continuing to provide Queen City Church guidance, oversight and a level of financial accountability. Cromer described ARC'S church planting model as a "very heavy investment in time." Michael Millay clearly remembers the first time he met Brian Cromer. The 26-year-old said a mutual friend tagged him in one of Cromer's post on Instagram late last year. The friend told him Cromer planned to plant a church in Cincinnati and that he might be interested. "We had blocked off 45 minutes for lunch," Millay said of his initial meeting with Cromer. "Forty-five minutes turned into a couple of hours. You could just tell he had really done his research." Millay said before meeting Cromer he was baptized but never involved in a church beyond attending Sunday services. After the Cromers moved from Birmingham to Cincinnati in January, Millay helped Cromer tell Queen City Church's story online. Millay joined nearly 90 other people, 30 of whom moved to Cincinnati to support the church, as part of what Cromer called his "launch team." "That's why we've been here as long as we have without doing a service," Cromer said. "We've done a lot of things to build up. We believe in starting large." Millay created most of Queen City Church's digital content through Rooted Media House , a company he founded after playing for FC Cincinnati in 2016. The use and production value of that online content is similar to how local megachurch Crossroads delivers its message online. "I think it(social media) is one platform that most churches don't use," Millay said. "It's the first thing anyone sees nowadays. It's an opportunity. I think the crowd we had (for the first service), it was crazy to see a majority of people who were younger." About 450 people attended Crossroads' first public meeting in Hyde Park on March 24, 1996 . With the help of online media that non-denominational church now sees more than 38,000 people attend its services, according to an article published by Christianity Today in April. When asked about Queen City Church, Crossroad's lead pastor Brian Tome wrote in an email that he has met Cromer and considers him "a good and Godly man whose presence will be a blessing to our city." 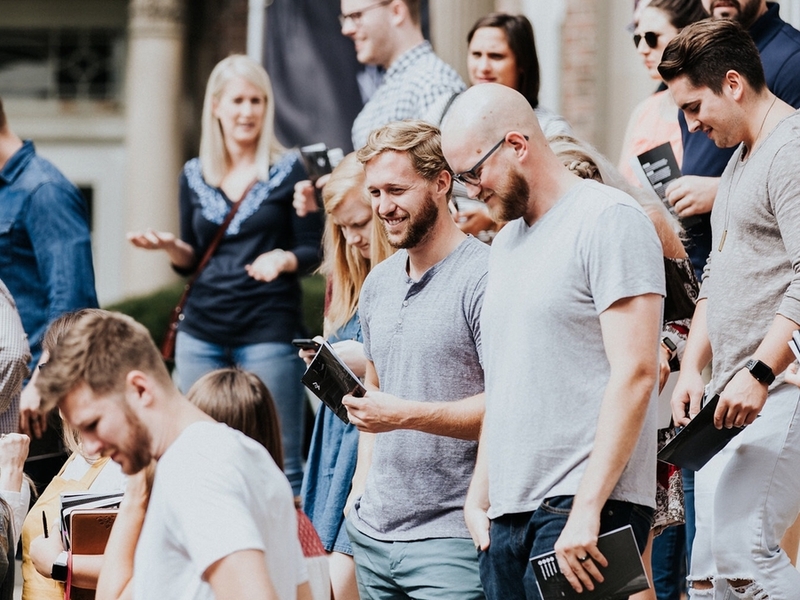 Before Queen City's first service, the Cromers also hosted start-up parties, networked and held public events such as a Father's Day celebration at Ziegler Park to build their church's launch team. "We tried to do it not just from an announcement perspective, but 'hey we are communicating a vision and telling a story,'" Cromer said of establishing Queen City's base. "We [then] took the team we built and we walked through who we are. We really feel like that's gone well." As a result of that preparation, trained greeters welcomed and answered visitors questions and certified babysitters were on hand during the church's first service. Cromer added that every part of the church's launch has fed into the vision he and his wife started with four years ago –– grow a church with a clear mission to uplift and serve its community. The hope is that growth continues for years to come with a congregation that shares the word of God with all of Cincinnati. "The one word, if I could describe the church, the dream, the one word is life-giving. Almost like it's a breath of fresh air; that when you come in you are built up. We can't do everything but we can do something. We've been able to meet and connect with so many amazing people." "All of our chips are in the middle of the table. We know the type of commitment we want to make here."